SINCE THE PURCHASE of a single hotel in Harrisburg, Pa., in 1984, a guiding notion has led Hersha Hospitality Trust (NYSE: HT) to where it is today—that upscale hotel accommodations don’t need to include a full range of services. 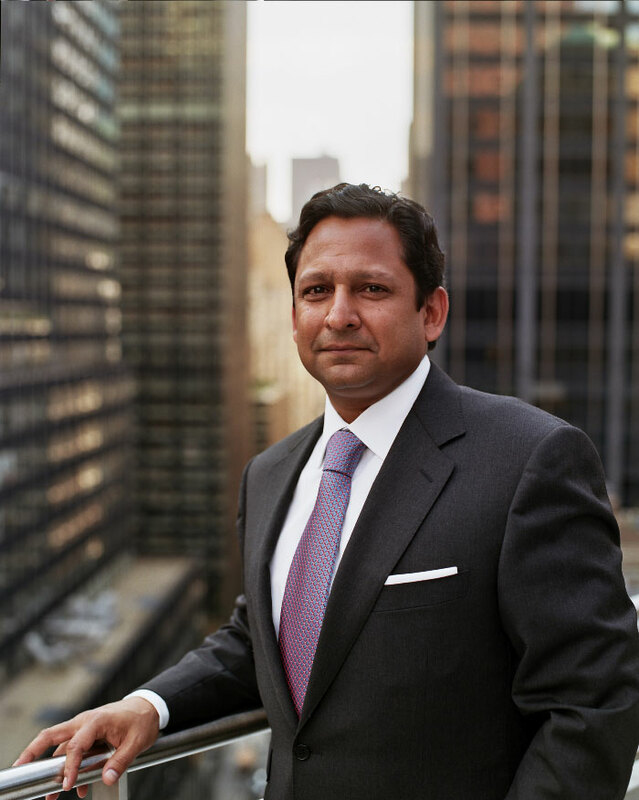 The “select-service” model—providing services above the motel level but below those of a luxury hotel—was championed by Hersha founder Hasu P. Shah and his equity partners, who found that the model had little representation in most markets. The concept was taken a step further when current CEO Jay H. Shah and brother Neil H. Shah, Hersha’s president and COO, joined the business. The brothers, coming from backgrounds in law and business, decided to steer the select-service model toward urban gateway markets where they believed they could generate stronger rates and revenues. Today, Hersha owns hotels operated under some of the most famous hotel brands in the world— Marriott, Hilton, Intercontinental and Hyatt—as well as a small but growing number of independent hotels. After an active year for acquisitions and asset repositioning in 2013, Hersha plans to spend 2014 aggressively managing its portfolio to drive peak performance. “We’re at a point where we’ve done a lot to transform the portfolio over the last couple of years, and now is the time for us to really show and realize the EBITDA (earnings before interest, taxes, depreciation and amortization) potential of the portfolio. That’s what we’re really going to focus on,” Jay Shah says. Hersha had a particularly busy year in 2013. Assets brought into the portfolio include the Hyatt Union Square in New York, the Residence Inn Coconut Grove in Miami, the Courtyard San Diego Downtown, and two independent hotels that are part of the Autograph Collection in Miami Beach. In addition to selling 16 non- core assets for $217 million last year, Hersha also completed the construction of a 93-room tower at the Courtyard Cadillac Miami Beach. This year the company also is scheduled to close on the purchase of the Hotel Oceana in Santa Barbara, Calif., in the first quarter, while two new hotels in New York, a Hilton Garden Inn and a Hampton Inn, are under construction and will open in 2014. “We’ve had a lot of moving parts to date. All, I think, are going to be great value creators, and I think this is going to be a great year for us to just drive performance at this newly tailored, transformed portfolio,” Jay Shah says. How does Shah describe his company’s portfolio? He stresses that Hersha is not a “niche play,” but a “disciplined play” instead. “The work we have done has really allowed us to create a pure play, urban, transient portfolio with exposure to the major gateway markets in the United States,” says Shah, referring to New York, Washington, D.C., Boston, Philadelphia, Miami, San Diego and San Francisco. Urban transient hotels are generally very strong economic performers from an EBITDA-per-room standpoint, according to Jay Shah. Hersha generates about $20,000 per room, per year from its existing core portfolio, and the top 50 percent of its portfolio generates $30,000 per room, per year. “It’s an extremely efficient, high cash-flowing portfolio,” Shah says. David Loeb, senior research analyst at Robert W. Baird & Co., says Hersha has a clear sense of what it wants to be. “Their vision today of what Hersha is and should be is an owner of urban, select-service (hotels) in high-barrier-to-entry coastal markets,” Loeb says. Hersha’s success with the select-service model has not gone unnoticed, according to Shah, who says growing competition is starting to influence the economics of the segment. Meanwhile, Jay Shah sees a growing role for independent hotels within the Hersha portfolio. He notes that by the time Hersha closes on the Hotel Oceana in Santa Barbara, Hersha will have at least one independent property in each of the gateway markets where it operates. “What we’re finding is that in today’s travel markets, independent hotels that are in high-demand markets… situated in very desirable neighborhoods, have the ability to perform extremely well,” Shah says. Independent hotels are also benefitting from a shift in travelers’ tastes and preferences. According to Shah, people are now starting to see both corporate and leisure travel as something that can incorporate a “lifestyle experience.” Meanwhile, a shift in demographics away from baby boomers towards the millennial generation is also likely to benefit the independent sector. Shah says that as longtime hotel investors and operators, “we also now realize that there are times that are extremely well-suited for an independent execution, and oftentimes the independent execution, from an investment standpoint, might be very similar to that of a branded investment from an economic standpoint.” An independent purchase, he observes, might actually be able to drive stronger average daily rates (ADRs) and occupancy. “You have to look at in on a case-by-case basis and a location-by-location basis,” he says. According to a recent Hersha investor presentation, its independent hotels produce ADRs that are approximately 11 percent greater than at Hersha’s branded properties and revenue per available room (RevPAR) that is approximately 13 percent higher. “There’s room for both in the marketplace, but I think the space for the independent hotels is growing, and it’s relatively new, so it’s a very exciting segment in the marketplace,” Shah states. It’s no secret that Hersha’s portfolio has attracted its fair share of suitors. “We’re always for sale,” Shah acknowledges. “It’s just a matter of being able to speak to people about it who will understand the full value of the portfolio.” Loeb says Hersha’s management team is “pretty realistic” when it comes to a potential sale of the portfolio. Loeb notes that while consolidation has occurred in other real estate sectors, it has not been seen recently in the hotel sector. However, he points out that private capital sources are showing interest in hotels, particularly in high-return, high-growth investment opportunities. Nikhil Bhalla, vice president for equity research at FBR Capital Markets & Co., says an attractive aspect of the Hersha portfolio is its size. “It’s not a very big portfolio… and what you’re getting is the highest-margin portfolio in the lodging space and a very seasoned management team,” he says. Looking forward, Shah expresses confidence that despite a somewhat bumpy economic recovery, Hersha is well positioned to outperform its competitors. “With all of the changes that we’ve made and some of the assets that are coming on line or are going to be delivering the first full year of earnings, I think, as we look across 2014 and 2015, we’ll have some real opportunities for outsized growth,” Shah says.